Home buyers have an option to buy an older home or a brand new house. In addition to getting the latest in design and amenities, new home buyers have more options for what their home will look like. Consider location. Before you start searching for new homes, decide which areas you and your family would like to move to. If you have small children, make sure there are good schools nearby. You may also prefer to find a place close to all the other necessities such as hospitals, groceries and parks. Decide on a price range. To find the right house for the right price, know your budget limitations and stick with what you can afford. Pricing of new homes is dictated not only by the size of the home, or by the market situation, but also by location. If you are on a tight budget, buying farther from major cities or employment centers will get you more house for a lower price.But remember to factor commuting costs, including wear and tear on your car, into your budget. Get your home buyer's loan pre-approved first before you even visit the new communities. This will speed up the process for you and keep you within your budget. What Do People Look for When Buying a House? Hire a real estate agent who will represent you. Working with a realtor will make the search simpler, and your realtor can work with builders to negotiate down the price. You do not need to pay the realtor since her commission comes from the builder. A realtor can do much of the research and leg work. Visit the communities and tour the model homes. Normally each new community will have different models for different needs and requirements. Consider your family's needs and lifestyles. Would you rather have a big kitchen that opens into the family room or would you rather have a smaller kitchen but a bigger formal living room and dining room? Negotiate the price once you have chosen a model. The home prices listed on the fliers are not final, especially during a buyer's market. You may be able to lower the price by thousands or ask for additional perks such as a free refrigerator or washer and dryer. Some builders will even offer to do the backyard landscaping for free as a promotion to entice buyers. Complete the application provided by the builder. The builder will also more than likely ask for a check to hold the lot for you. So do not forget to bring your check book when you go on a house hunt. Even with a pre-approval, most builders will still run your credit report because it is a standard requirement. There are some who would prefer you work with their lenders to finance your home, either way insist on the best option for you. After the builders have completed checking out your application, you will then be asked to choose your upgrades. Do not go overboard or over budget.Some builders will allow you to go through preliminary inspections while your house is being built. This gives you an opportunity to see the type of workmanship going into your home. During each stage they will explain to you what takes place. This will give you a better idea of how things are put together and how they will work. Take a final walk through. After the house has been completed, which is days before your closing date, you will do a final walk through of the house with a representative from the builder. Bring a checklist with you or use your builder's checklist. Make sure to inspect everything during the walk through and mark anything that does not work properly so that the builders can address problems before your closing date. Schedule another walk through of those problem areas to see if they have been fixed. Make sure, before you sign, that everything is in proper order. Get a warranty. 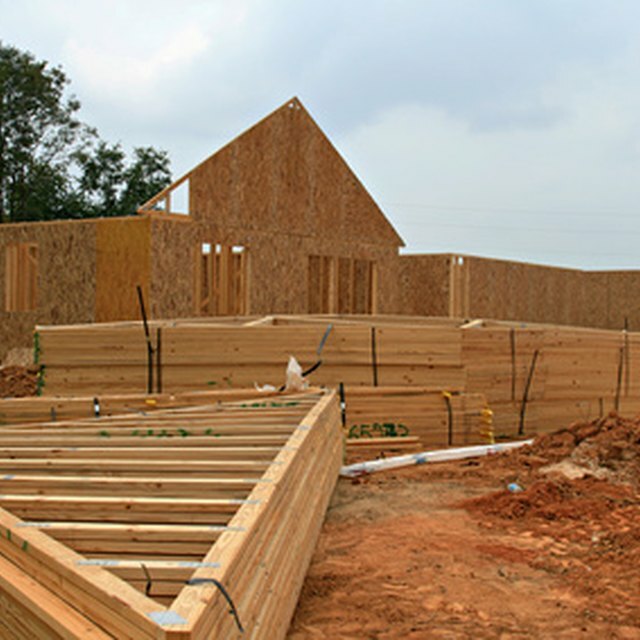 New home builders give a warranty on the quality of the homes they build. Depending on the state where you will buy, they range from two to 10 years. Be sure to read the fine print on what is included in the warranty and under what conditions. Make sure to get the appliances registered so that when they break you can have them fixed. Make sure you get everything including at least two sets of keys and garage door openers. Then be ready to move in and enjoy your new home.